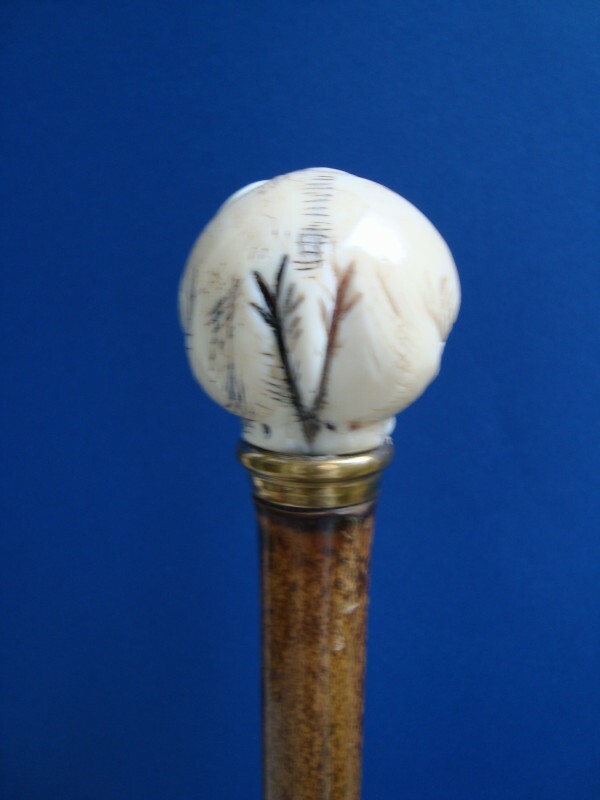 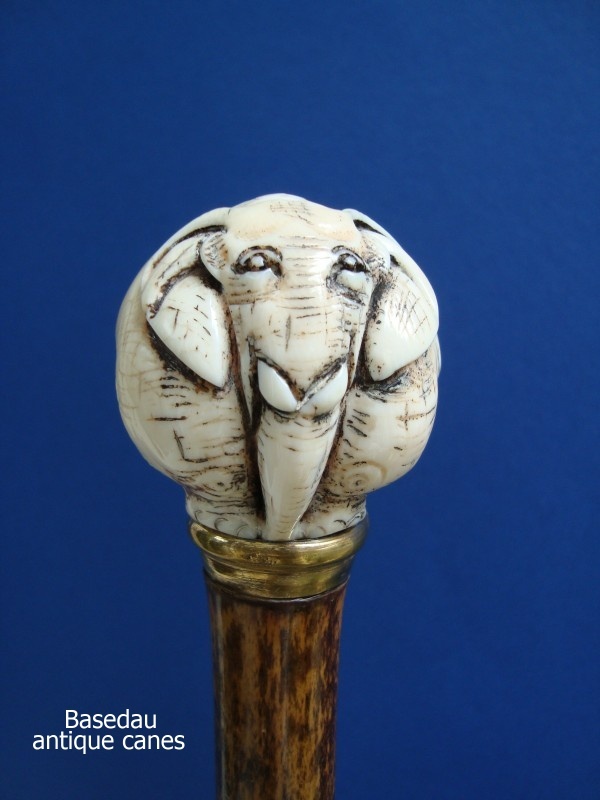 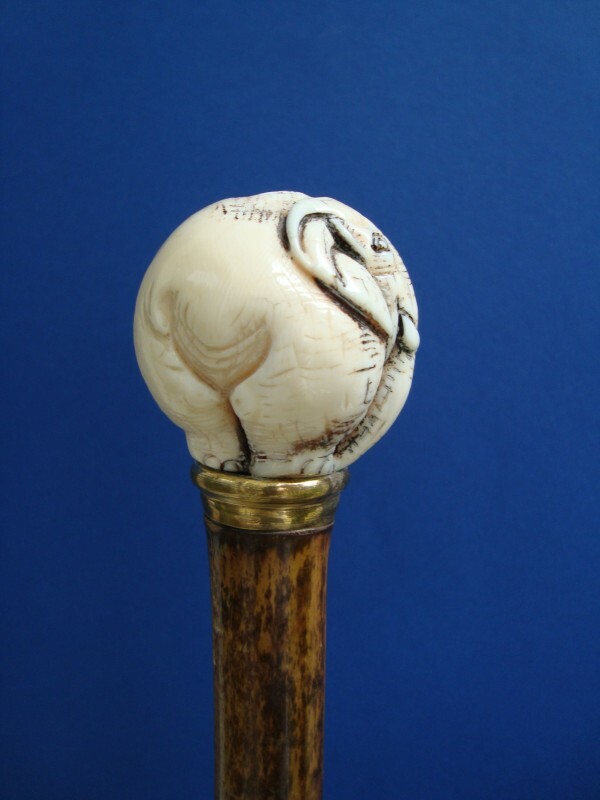 Walking cane with an ivory ball knob carved as an elephant, about 1900. 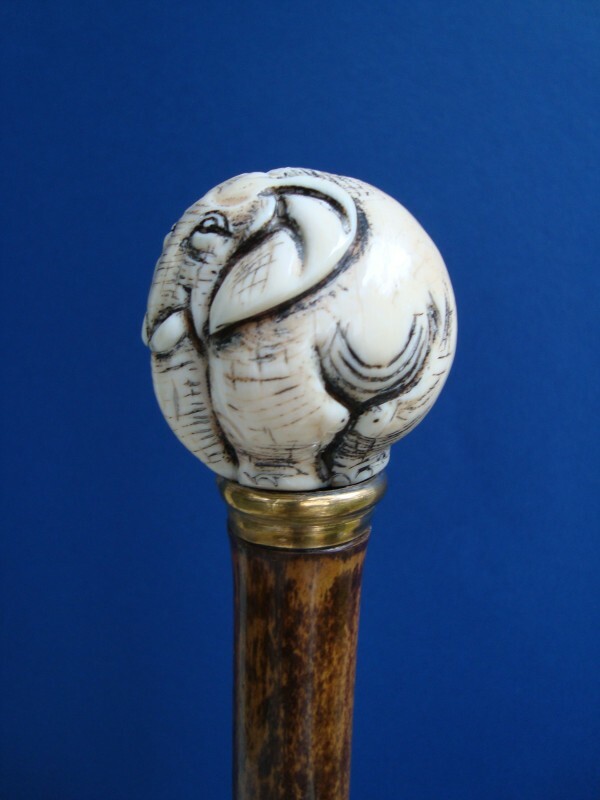 The handle is fitted on a brass collar and a bamboo shaft with a horn ferrule. 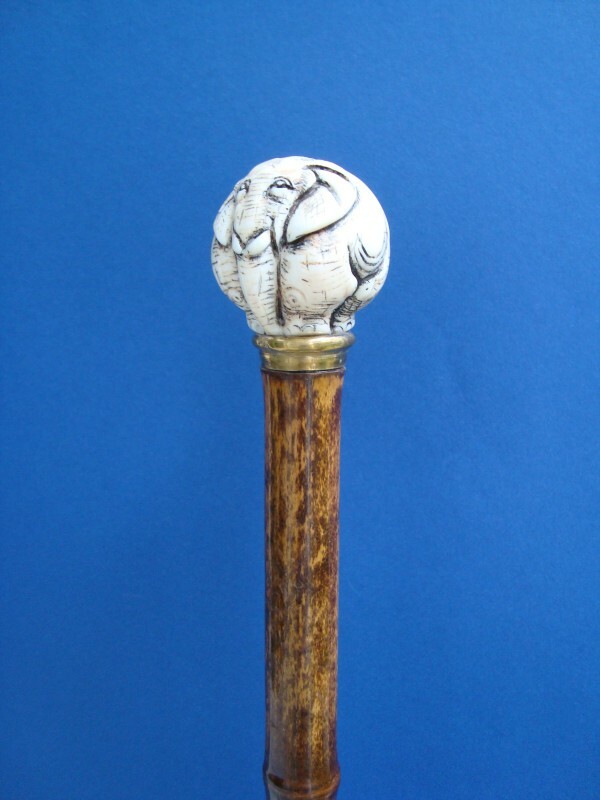 The handle in diameter 4,5 cm, 1,8“ overall length 88 cm, 34,6”.